Yo, exams are over! I have more free time. 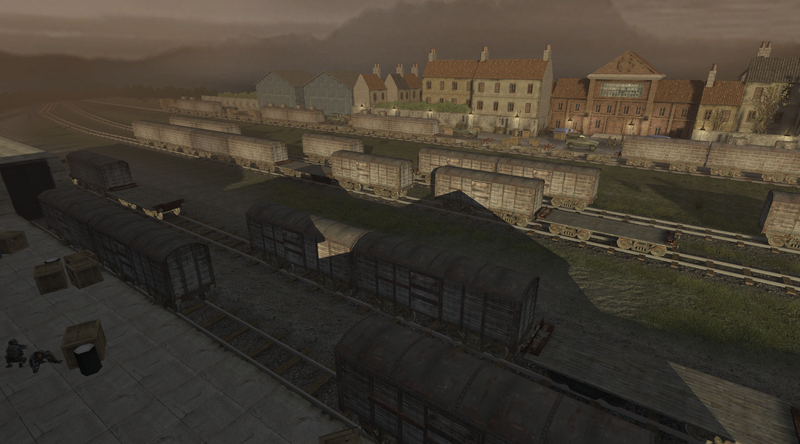 Couldn't wait to get back on COD4 mapping and resume Rooftops 2 development! And I did so! Those are all I did so far in the past days. More will come, I wish I could prepare a trailer but I prefer focusing on the map itself so it can develop faster. I hope you agree. Thanks for your support all! Trust me I anticipate showing it all to you guys as much as you do. Thanks man much appreciated! Hope you enjoy it all! Only this one won't have this epic battle CODUO held. that's a pretty impressive progress in such a short time. Thanks, all I need is a good battleground. Scripting it doesn't seem to be much of a problem for me. At least in COD4. Hope your exams ended up well :) can´t wait for Rooftops 2! So,Is it coming before or after "The Deal" 's release?I am Waiting for both of them.But asked from some curiosity. No problem it's okay. The Deal may come after Rooftops 2. Not sure if and how.